NEVER HAVE TO RELY ON ANYONE AGAIN! Open every can, jar, bottle with ease - there is nothing this won’t open! The Multi-Function Kitchen Opener is a standout amongst the most basic things in your kitchen. From opening jars, jugs, containers, and so forth, this helpful opener is number one. 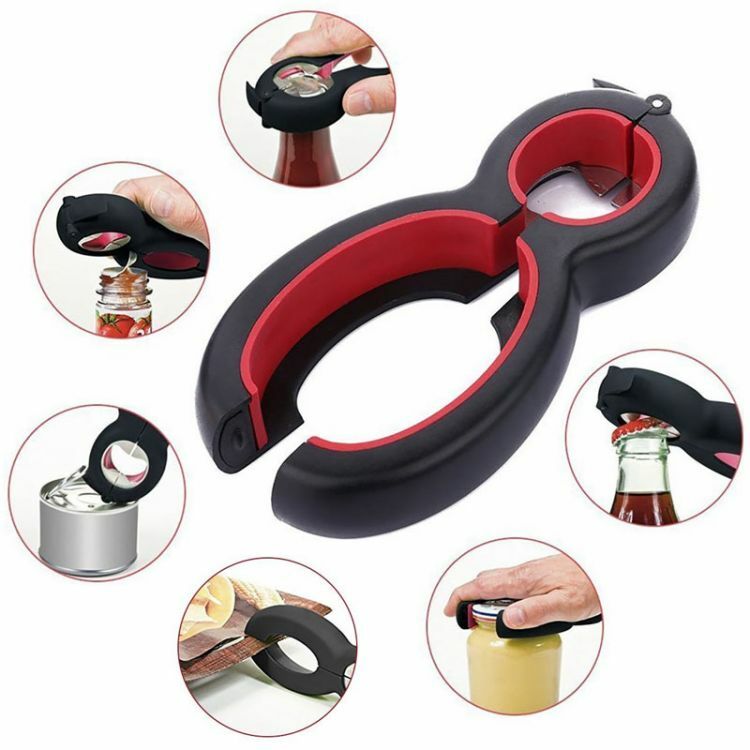 No other opening devices needed - this multi-function opener can do everything! It is suitable for everyone, from youngsters to older folks. It's ergonomic design makes this easy to graps and easy to use. Open the tops without harming hands or using excessive force. Perfect for those with hand injuries or arthritis!